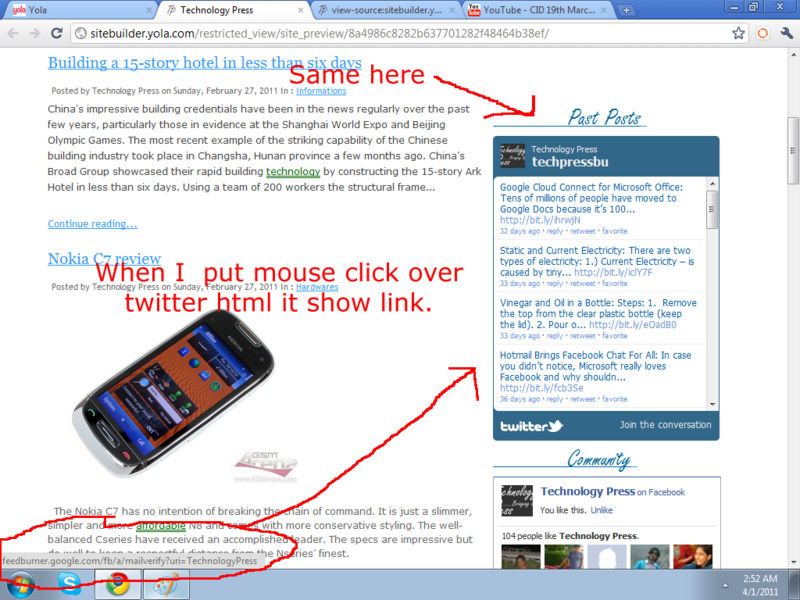 Text and HTMLs in my page is having link of http://feedburner.google.com/fb/a/mai... 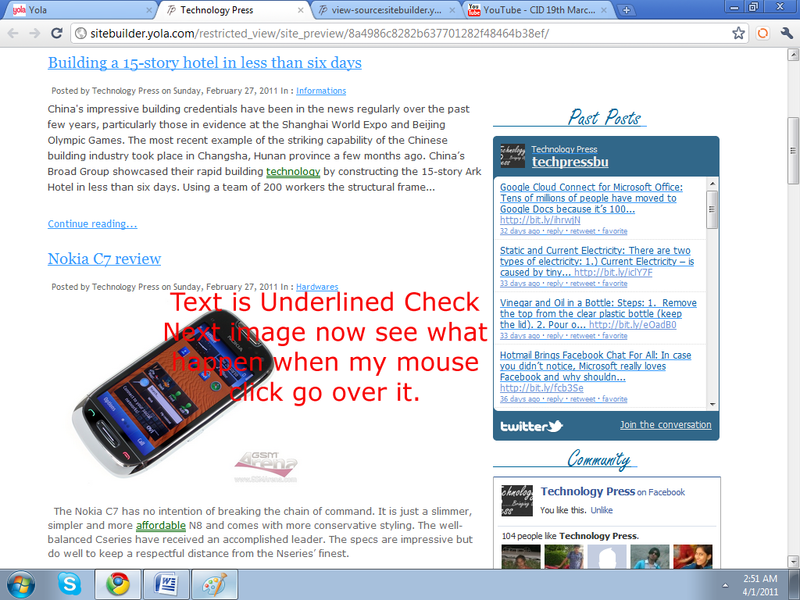 Automatically, although I haven't put any link on it if I remove the text or HTML and then put it again so link comes again, My site is currently unpublish so check out the Attach pictures for your understanding my problem. Strange! I'm sure someone from the Yola team will help you out soon. It's probably because of some coding on your page that wasn't completed properly.